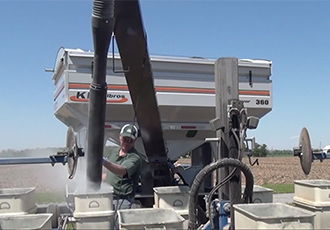 Time and convenience are two of your most valuable commodities at planting. 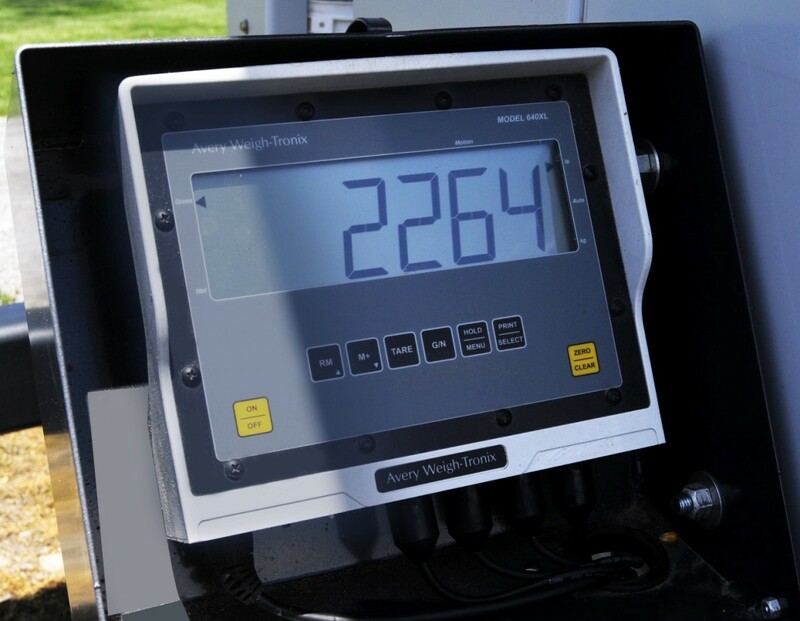 That’s why more growers are discovering the time and cost savings of delivering seed to the field and planter with the new SeedVeyor models 260 and 360. 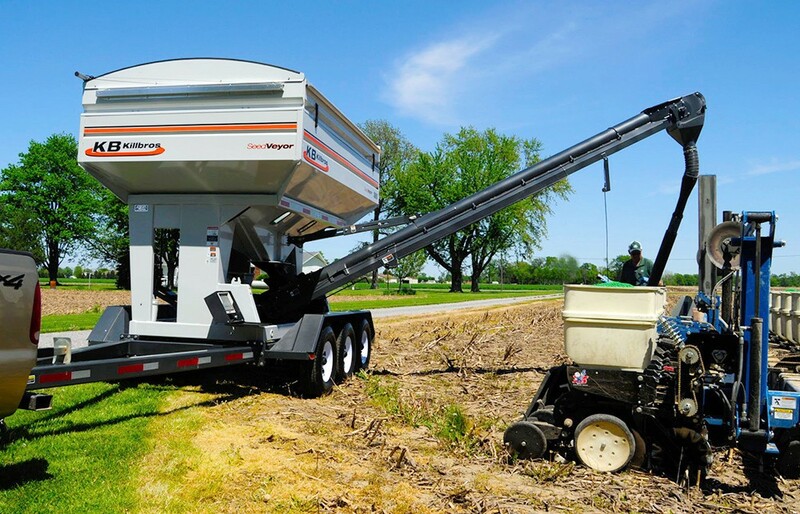 Choose between 260 and 360 seed unit capacities with dual compartment hopper. Dual viewing windows for easily monitoring contents during loading and unloading. Standard 18oz. weatherguard roll-over tarp protects the contents from adverse weather and stays tightly locked, even at highway speeds. Standard side-mounted ladder with flip down lower step for easy viewing into the hopper. Two-part urethane enamel finish and silicone sealed seams for a long-lasting finish. Standard on/off wired remote with magnetic mount. 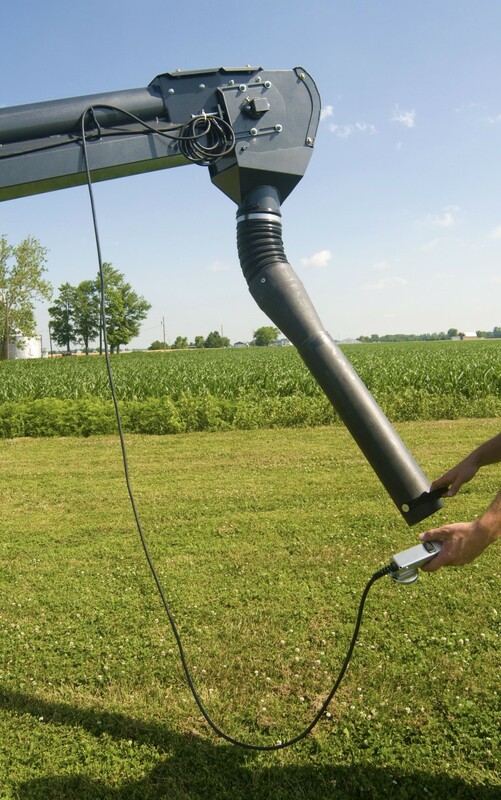 18' long steel tube with 4' - 6' telescoping downspout can reach 30'. Hinged bottom door allows for easy and complete cleanout. 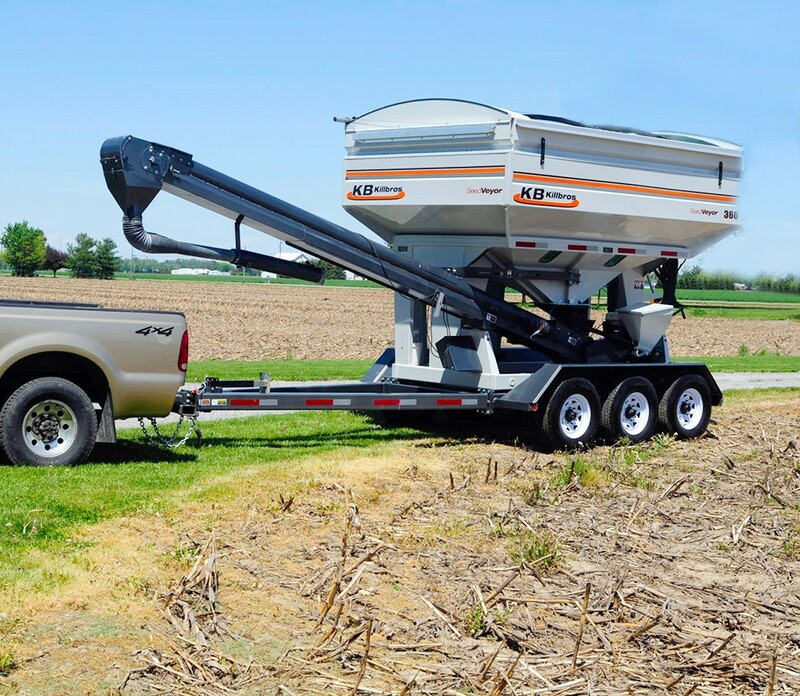 The conveyor/auger base features rollers that pivot a full 180° and can be locked into place for unloading. 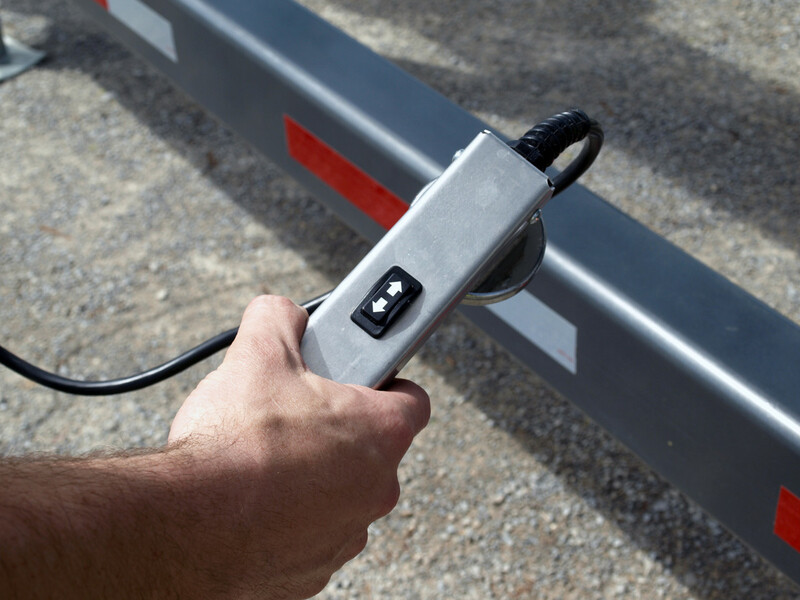 Winch-controlled height adjustment for unloading ease. 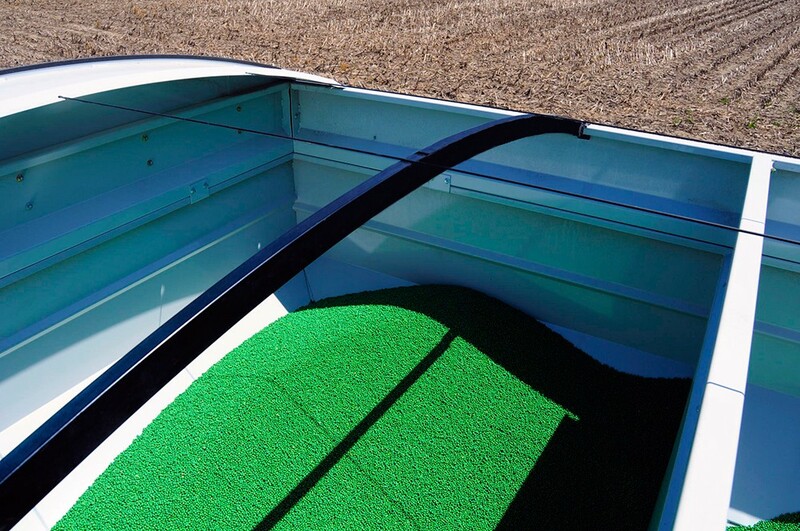 Easy-opening slide doors with rubber funnel regulates seed flow into the conveyor or auger and prevents overflow. 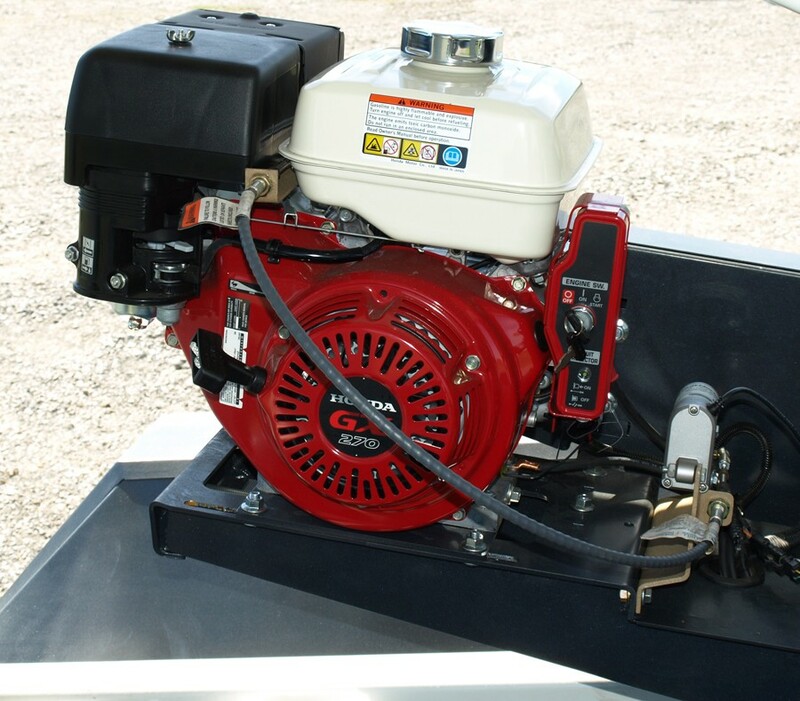 Models featuring a 6” conveyor or auger utilize a 160 cc (4.8 HP) Honda® gas engine while models featuring an 8” conveyor utilize a 270 cc (8.5 HP) Honda® gas engine. All models feature electric start and centrifugal clutch direct-drive system for the quickest response. Cupped and cleated belt with choice of a 12" belt inside of an 8" tube or 8" belt inside of a 6" tube. 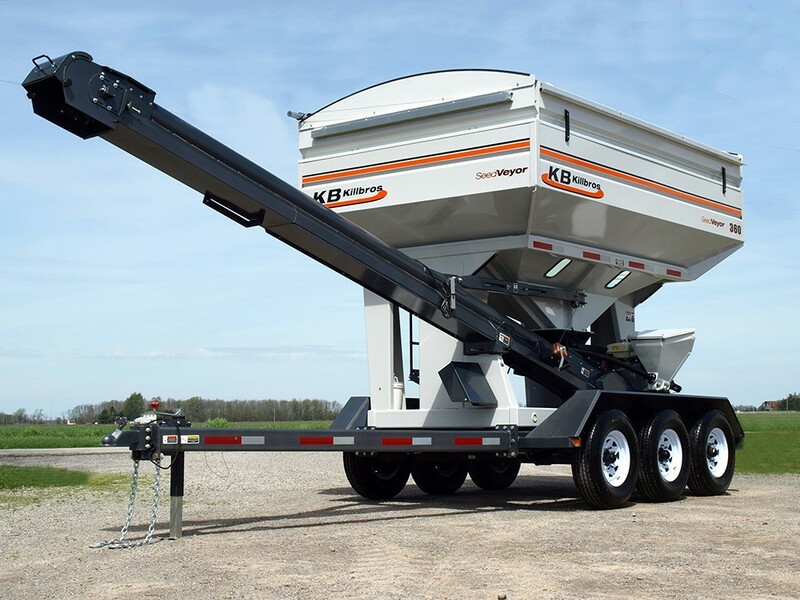 8" conveyor gently carries seed at speeds up to 25 bushels per minute. 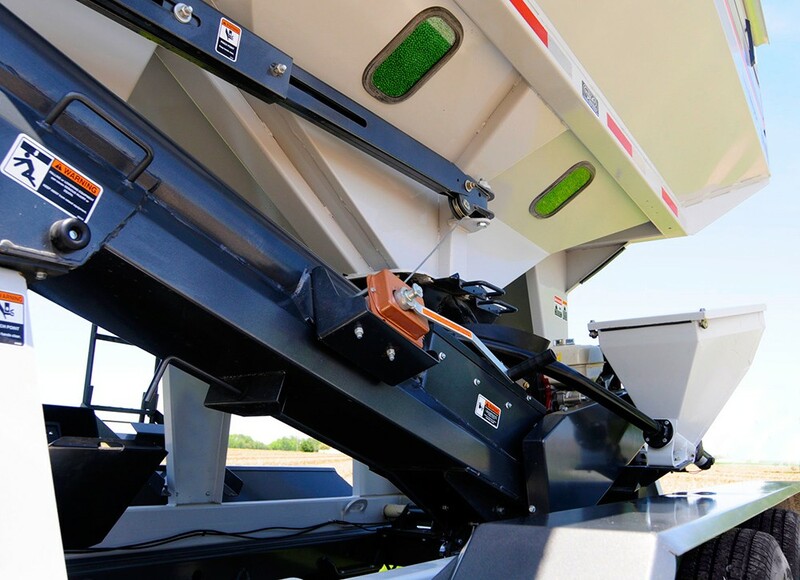 6" conveyor gently carries seed at speeds up to 12 bushels per minute. Patented brush seal on conveyor inlet prevents seed from back-feeding. Choice of 6" poly or steel auger flighting that gently carries seed at speeds up to 10 bushels per minute. Heavy-duty undercarriage offers durable steel construction, rubber-cushioned suspension, triple axles and electric brakes on the model 360, tandem dual axles and electric brakes on the model 260. 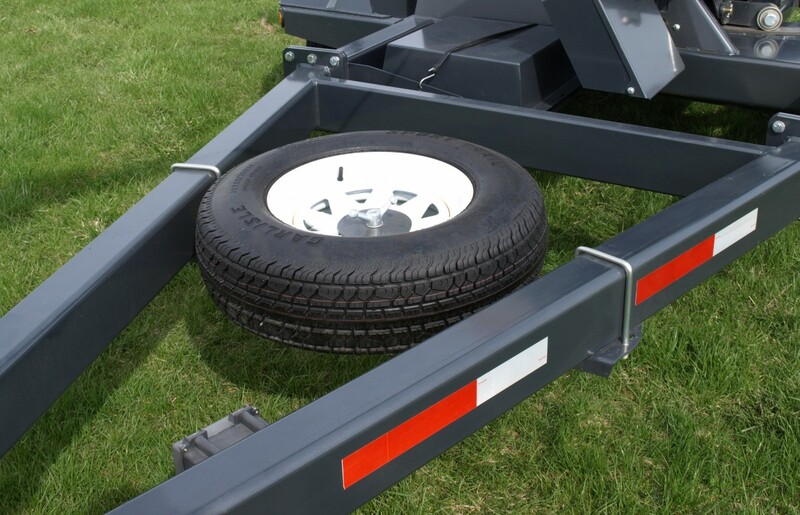 Highway-rated tires, lights, reflectors, 2 5/16" ball hitch and transport chain. 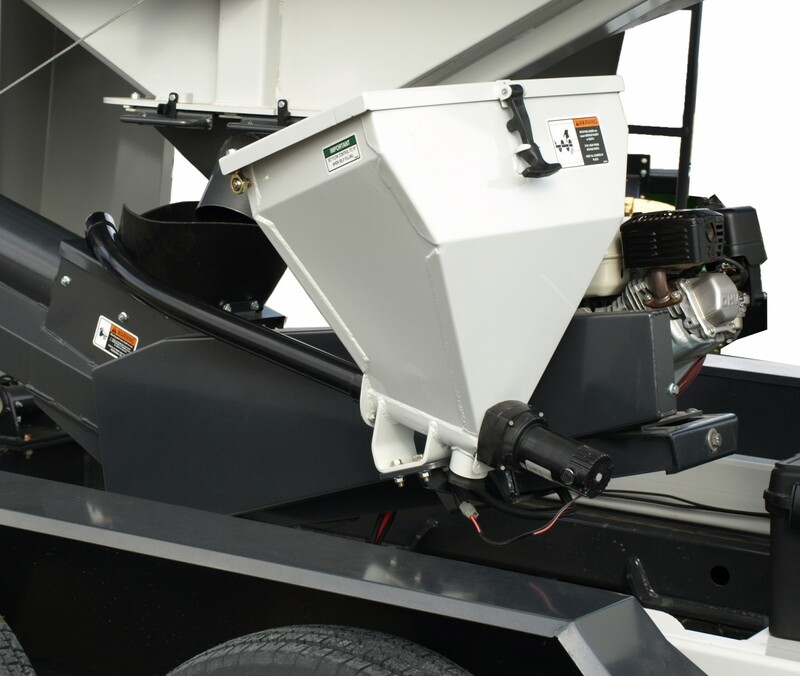 Option to mount the seed tender hopper on your own truck or trailer. 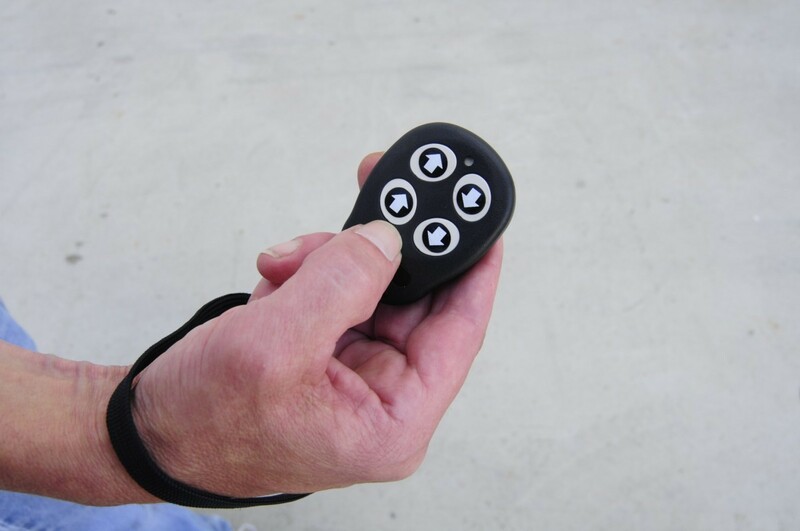 2-Function Wireless Remote controls conveyor on/off and when equipped with optional electric winch also controls raise and lower. Includes wrist strap for easier control.